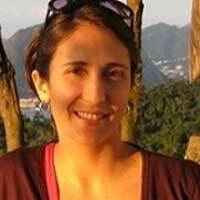 Dr. Anna M. Nogar has taught in the UNM Department of Spanish and Portuguese since 2007. She offers several courses for undergraduate and graduate level students, addressing topics such as literary narrative written by and about Mexican Americans in the American Southwest, contemporary and past cultures of New Mexico, and Mexican American cultural studies research and methodologies, among others. Her primary research and teaching interests include colonial Mexican writing; cultures of reading and exchange; Mexican American literary and cultural studies; and contemporary engagement with Mexican colonial history, stories, and tropes. Nogar recently published the book ﻿Quill and Cross in the Borderlands: Sor María de Ágreda and the Lady in Blue, 1628 to the Present (Notre Dame Press, 2018), and co-authored Sisters in Blue/Hermanas de Azul (UNM Press, 2018), a bilingual children’s book, with UNM colleague Enrique Lamadrid. She has also edited two volumes, the Cambridge History of Mexican Literature (Cambridge University Press, with Ignacio Sánchez-Prado and José Ramón Ruisánchez Serra) and Colonial Itineraries of Contemporary Mexico: Literary and Cultural Inquiries (University of Arizona Press, with Oswaldo Estrada) These publications are in addition to other publications released domestically in a variety of scholarly outlets, and abroad in publications in Okinawa, Spain, Mexico and France. Her current research projects examine early 20th century bilingual New Mexican writing as political engagement, and colonial-era transpacific cultural exchanges.